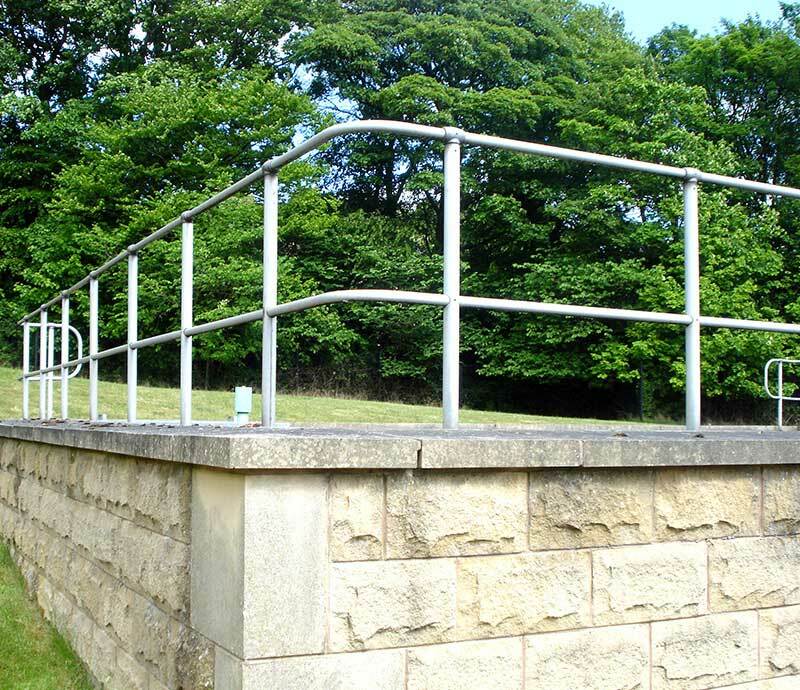 When you need hard-wearing qualities for harsh environments, our Genesis industrial handrails and balustrade has durability to stand the test of time. It’s ideal for chemical production sites, factories, water treatment facilities and exposed locations such as rooftops and lighthouses. Comes with a Lifetime Guarantee. Genesis balustrade features environmentally friendly design with modular construction that minimises noise, waste and energy consumption. 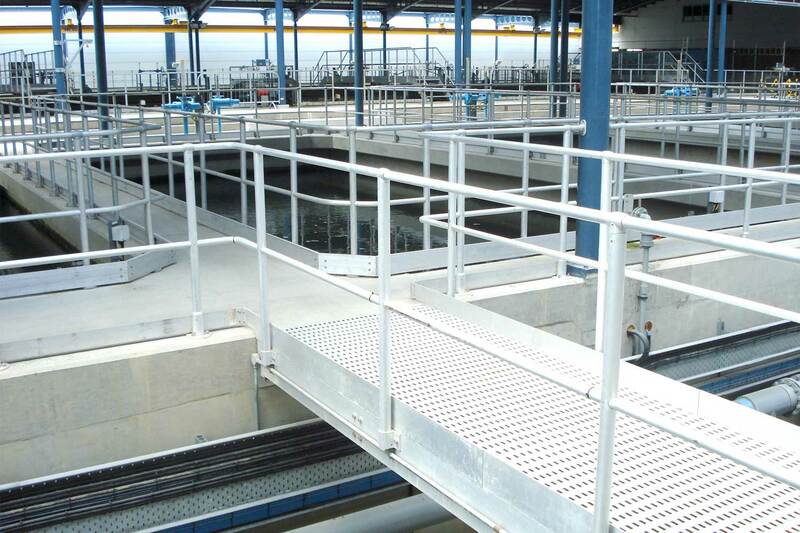 The balustrade is ideal for safety railing, industrial guard rails, adjustable ramp handrails, roof edge protection, standing-seam roof edge protection, access walkways, mezzanine floors and ventilation grilles. 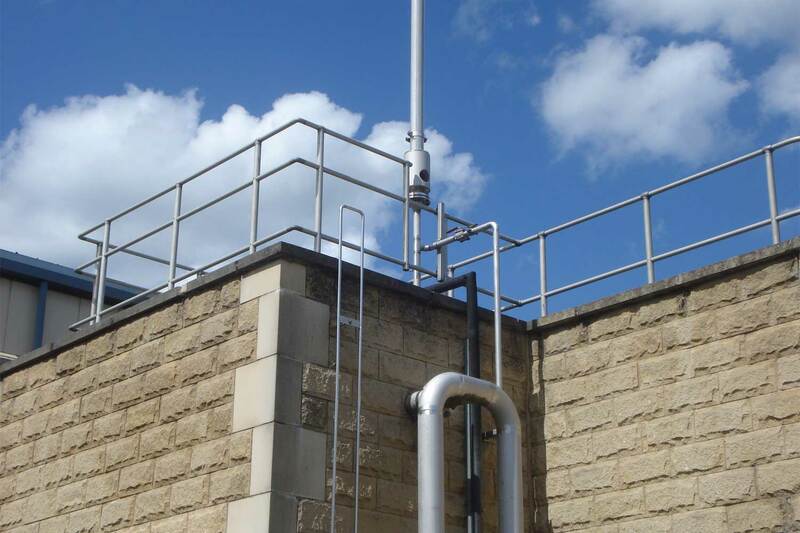 As well as being 1/3 of the weight of steel for easy installation and manoeuvring, the aluminium is DDA compliant, corrosion-free and fully recyclable with high a residual value. Balustrades and handrails are available as mill finished and with coated handrail options for visual contrast. Components are designed for ease of assembly utilising mechanical fasteners with smooth top handrail connections to provide tactile comfort. 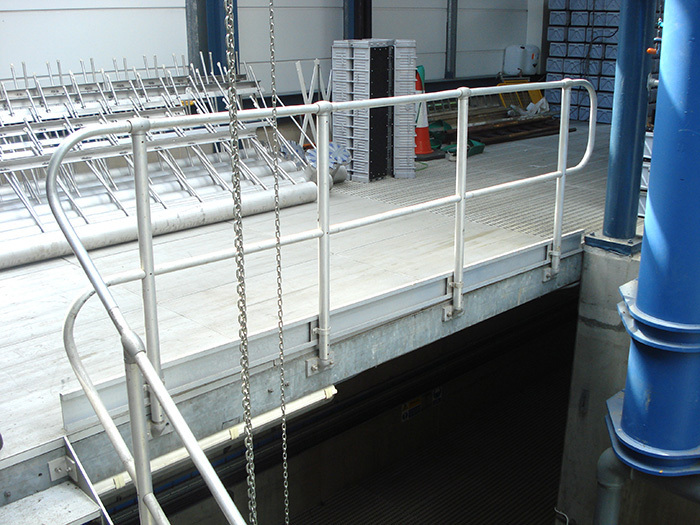 Optional kicking plates are available and fixings can be supplied on request. 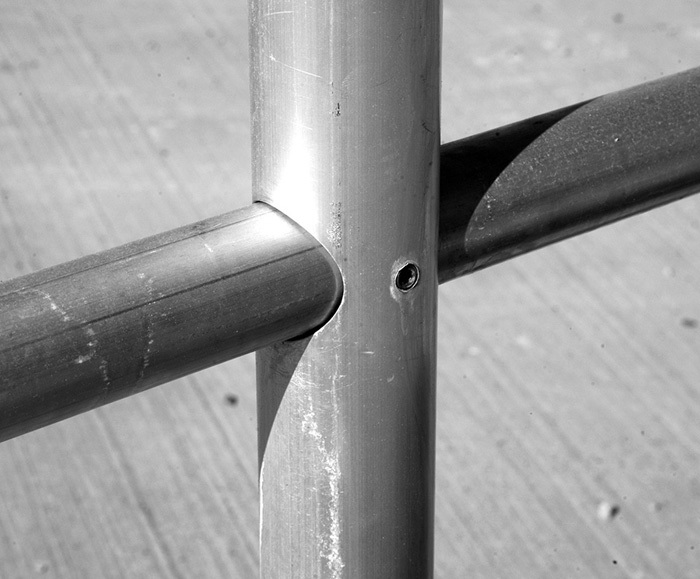 Mill Finish aluminium alloy extrusion with powder coated rail option available for visual contrast. Aluminium LM6 pressure die castings. Components designed for ease of assembly utilising mechanical fasteners. Infill options and optional kicking plates available. Fixings can be supplied on request. Rail systems to suit 0.36 kN/m and 0.74 kN/m loads have been tested in accordance with BS 6180:2011. A 38mm diameter toprail is standard for our Genesis industrial range. 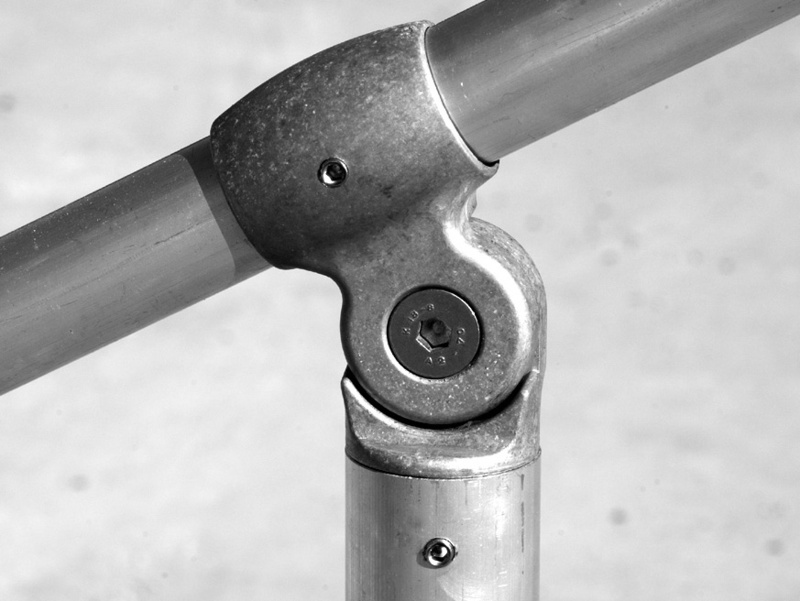 This image shows the toprail secured and connected with our standard stanchion tee. Our stanchion raked tee component is designed to facilitate adjustable rail angles for outstanding versatility and flexibility. 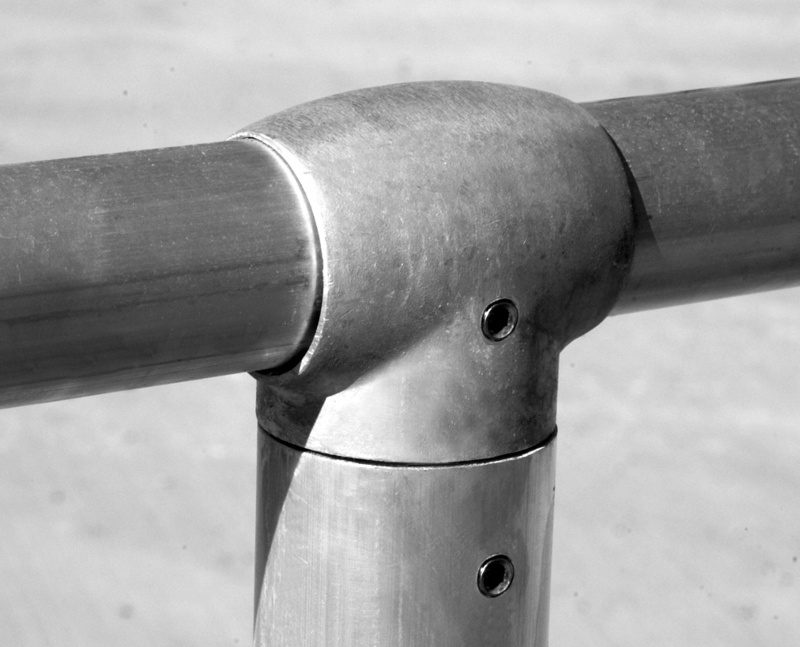 Mechanical fasteners are applied to all connections. They enable easy assembly and do not require adhesive. 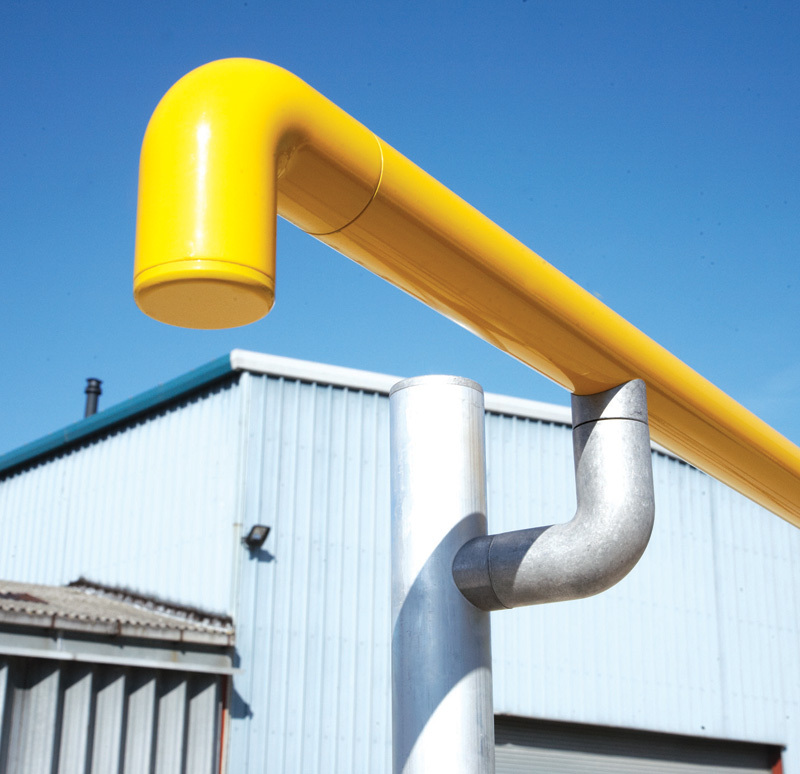 We offer a number of infill options which provide the heavy-duty durability and corrosion resistance required for industrial environments. 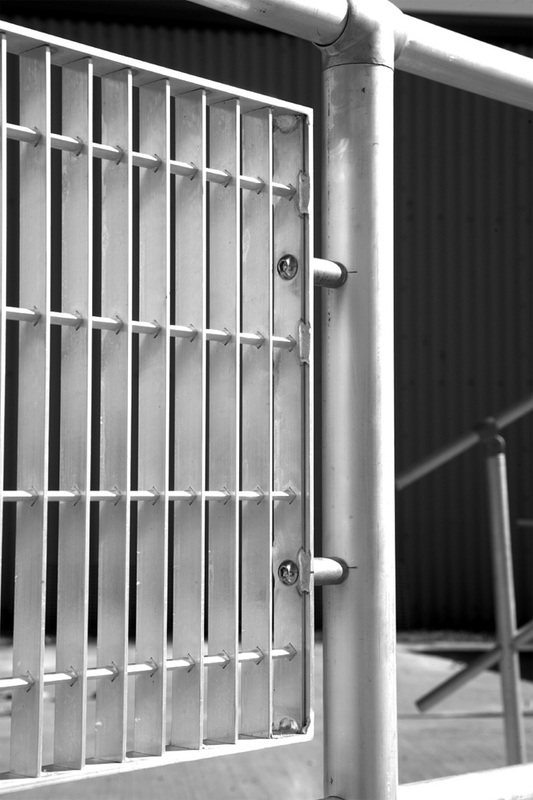 This example shows an aluminium grille infill, one of the most popular specifications. Optional kicking plates are also available. All Genesis components are 100% recyclable with a high residual value. They can be easily removed and replaced for fast, efficient maintenance. The aluminium components are 1/3 of the weight of steel for easy installation and manoeuvring, yet strong, robust and durable. 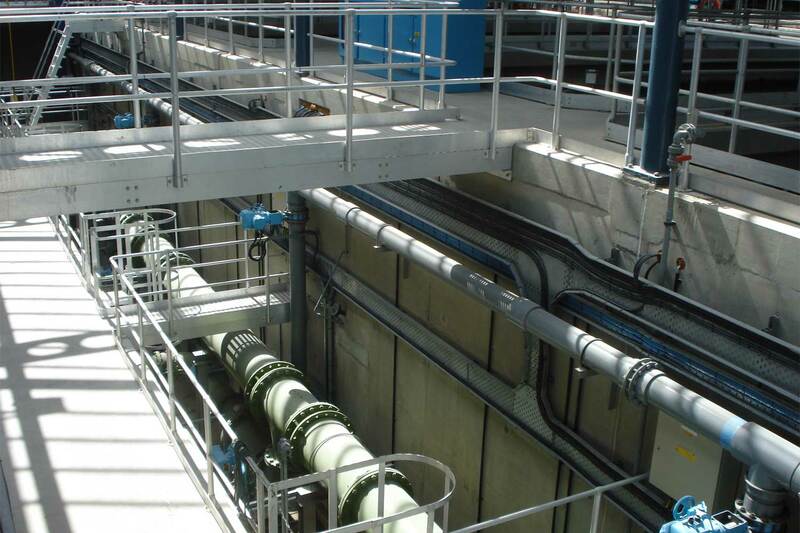 The corrosion-free nature of the aluminium components is a vital quality in harsh industrial atmospheres and exposed locations. The system is also non-toxic and non-combustible. 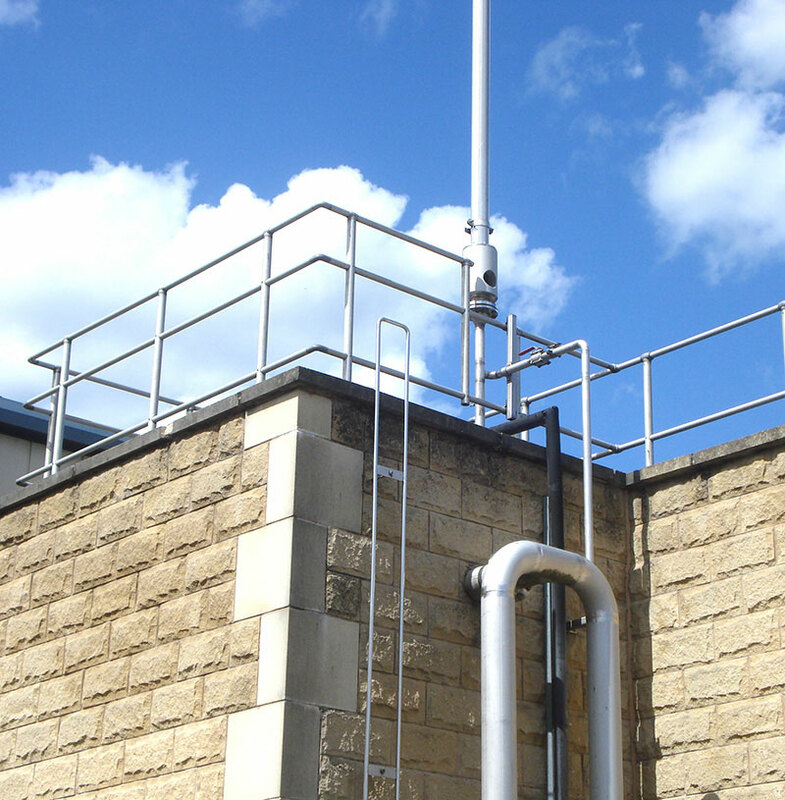 As an optional extra we provide powder coated handrails and toprails for visual contrast. They also provide warmth and comfort to the touch.